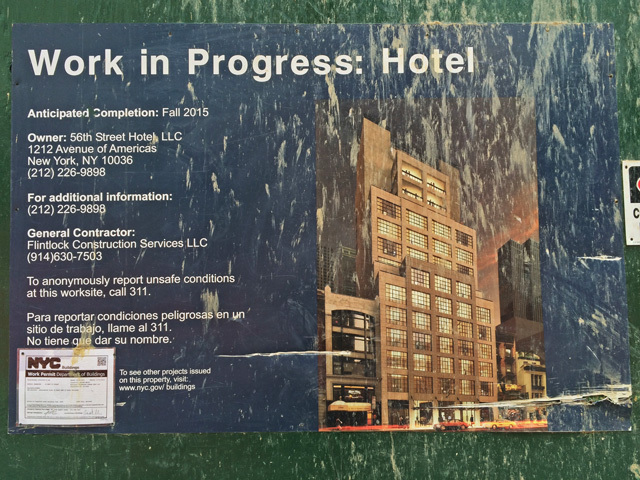 according to New York YIMBY - "the building will stand 16 stories and 196 feet tall"
Firmdsle's Crosby St hotel looks great, so I assume this will too. I'm curious about what will occur with the empty ACS building across the street. I think that Solow bought it. Those small buildings on the right are lovely . I walk by this often and expect that it will have beautiful cladding based on their Crosby St project. The windows, thus far, look great. I hope that most of the buildings on this street are preserved by for the eight or so little ones at the far west end of the street. They're filthy little eyesores with schlocky tenants and should be redeveloped with something nice. What additional cladding are you expecting? Looks like what you see now is all you'll get. It looked like brick in the renderings.